The winter woods of the Potomac Gorge offer few interesting sights to the casual observer. 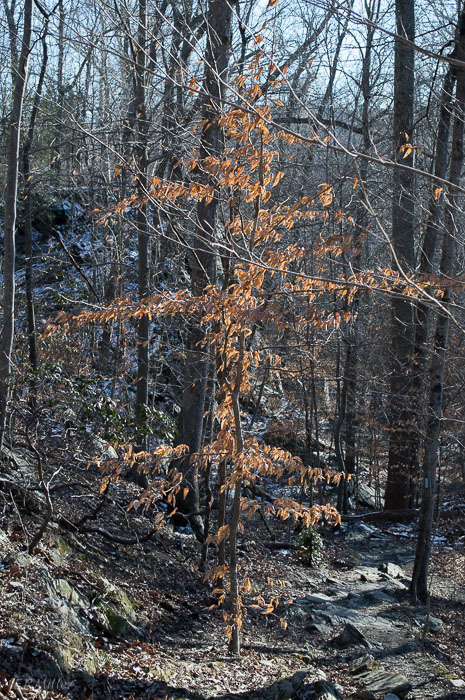 Besides the occasional bits of green that I’ve been posting about, there’s American beech, which holds on to its leaves well past autumn. They go from yellow to brown and then continue to get paler as spring approaches. 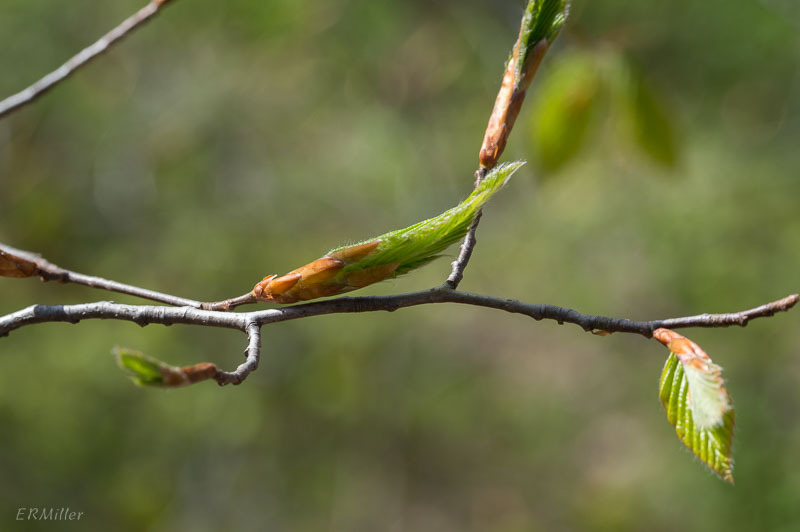 They don’t drop until shortly before the new leaves emerge. Generally beeches prefer drier upland soils – you’ll find some good-sized stands around Carderock, but not in the lower elevations nearby. There are also stands on bluffs above Cabin John Creek; look for the fantastic buttressing of the roots where trees are perched on steep slopes. These areas get enough water to support colonies of beechdrops, a parasitic plant. 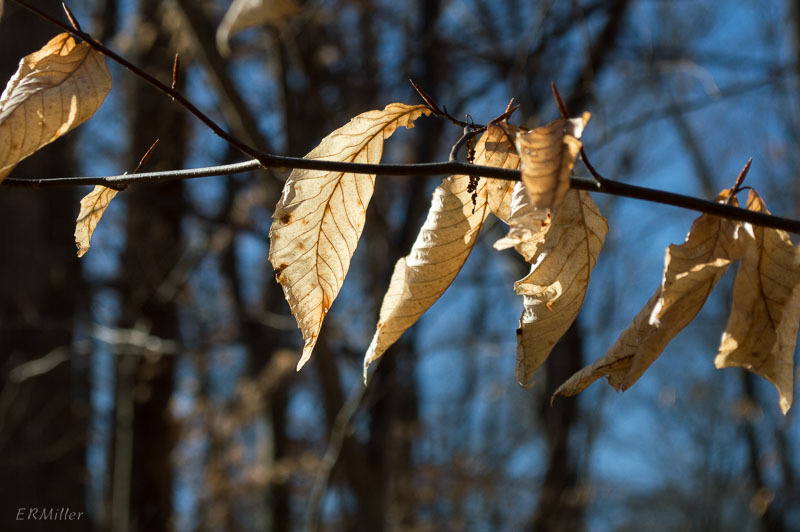 This entry was posted in Uncategorized and tagged beech, beechdrops, Fagaceae, Fagus by elizabeth. Bookmark the permalink. When I’m out walking, sketching or painting in the north Georgia woods the Beech is always one of the most eye catching things here too.